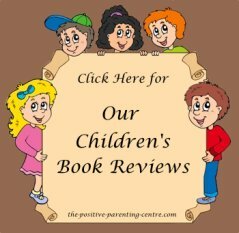 Good wholesome childrens books about virtues are worth their weight in gold and have tremendous influence in developing good character traits in your child. Good character development should start early in children by repetitive promotion of positive values and virtues. When a child engrosses him/herself in a positive and entertaining book about love, kindness, empathy, courage or others from our list of virtues, they instinctively ingrain those spirited feelings deep into their heart and soul. When a child treasures a special book, they want it read over and over again. As long as the storyline is not preachy you can never get too much of a good thing. All our children's books about virtues meet our positive "Seal of Approval" based on our child book review criteria. A wonderful and humourous story built around a young boy's wild imagination. It helps to build awareness of the personal space around us all (our comfort zone). Encouraging respect and consideration for others, it is a very entertaining story. A young boy named Champ discovers that things aren't always as they first appear to be. It takes an injury to help turn his initial selfishness into appreciation and gratitude. A superb story about empathy and kindness that hits right at the heart of what true friendship is all about. If you are not yet familiar with this series of books, you must not hesitate to get on board. In my personal opinion they are by far the best and easiest way to encourage your children to want to spread love and kindness to others. The premise of the series is that we all carry around an invisible bucket representing our mental and emotional health. The intent is to not only fill our own buckets with positive thoughts and feelings about ourselves, but to fill the buckets of others. When we love and care about others and show that love with what we say and do, we feel good about ourselves and top up our own bucket as well. Children also learn not to dip into their bucket or that of others, with negative acts and comments. A very simple but extremely powerful concept of teaching children about the wonderful powers of kindness and how easily they can become positive bucket fillers. Without a doubt, through these very simple books your child will learn to spread love and kindness, develop empathy & compassion for others while helping to develop a positive self-esteem. The series is the brainchild of the talented author Carol McCloud, known as "The Bucket Lady." Exceptionally written and equally illustrated by a variety of very talented artists. Young Emily repeatedly barges into her big sister's room. After the fourth time, her sister Alicia explains she is worried about a test she's studying for and asks Emily for a little empathy and to get out of the room. After being quite puzzled by the word empathy Alicia explains its' meaning. Emily then sets out on a personal mission to understand more about it. She decides to help many people in a caring, affectionate way, and observe how others act and feel toward one another. In this touching story, Emily learns that having empathy for others touches their hearts and nurtures gratitude. She also discovers that when you care enough to notice how others feel, something changes inside of you. 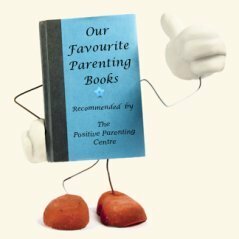 The book gives some excellent examples of empathy and will encourage your child to naturally become aware of the feelings of others and treat them in a compassionate manner. Exceptionally written by the talented Bob Sornson and beautifully illustrated by Shelley Johannes. This book is about 13 women who changed history in many different ways. They have fought against all odds, broken down barriers and let nothing stand in the way of their pursuit of success. Some women were subdued by men and the laws of society, while others were told that their dreams did not matter. These women relentlessly pursued their dreams proving the nay-sayers wrong, while the others stood up speaking for their rights changing the perception as well as the laws of society. Courage, Perseverance, Respect, Honour, Patience, Optimism, Empathy and Compassion are just a few virtues to be extracted from the inspiring stories of these 13 Brave women of varying cultures and backgrounds. Kate Sheppard, Viola Desmond, Joanne Rowling, and Malala Yousafzai are just a few examples of the women chronicled in this exceptional compilation. A truly inspiring book, and a must-read. It is authentically and extremely well written by Chelsea Clinton, author of many inspiring books including her companion book “She Persisted: 13 American Women Who Changed the World” also strongly recommended. Superbly illustrated by Alexandra Boiger. By her vibrant artistry and natural flair for creative expression the reader will not be disappointed. Pick up a copy today…. This is a truly inspiring story written by internationally renowned Malala Yousafzai describing her dream of every girl having access to education, strictly forbidden by the Taliban’s rule. Discovering magic in the power of words encouraged her to write about growing up in a war torn region spreading her message of hope to all other girls struggling with despair and discouragement. Her story will encourage and motivate any child to stand up for what they believe in. In addition to many previous awards in recognition of courage & advocacy, in 2014 Malala became the youngest recipient to ever receive the Nobel Peace Prize at the age of 17. She now travels the world advocating for education for all. The book is beautiful and colourfully illustrated by “Kerascoet” which is the pseudonym of the New York Times best selling husband & wife illustrator team Sebastien Cosset & Marie Pommepuy. This cute and cleverly written book illustrates how children without even realizing it, draw on courage in many different challenges they face on a daily basis. In this story the author runs the gamut from riding a bicycle without training wheels to the courage of holding on to your dreams. The talented Bernard Waber does a wonderful job of both authoring and illustrating this revealing book on courage. A story about a boy who by listening to his heart, soul and mind discovers his inner strength to believe in himself and stand tall against a bully. Becoming a hero within himself, he role models courage and kindness, influencing his peers to follow his lead. In his quest for fairness he manifests empathy and compassion for the bully, helping him to deal with his temper and adjusting his bad attitude. This book does a wonderful job of defining bullying to children. It empowers both the victims and bystanders to muster the inner strength and courage to stand up to bullies, resolve conflict and seek help when needed. The writer Susan Fitzsimonds does a marvelous job of rhyming the story while illustrator Jeff Covieo adds his spectacular touch of emotional expression. The story setting is on a moon spinning round in a place far away where everyone has either red or blue hair. Two smug and stubborn old kings attempt to control the land by their own rules. They draw two lines in the sand in the colour of red & blue. By denying those with opposing coloured hair to cross, they divide the hearts and minds of all those living there. To everyone's surprise a shy little girl named Priscilla steps up and uncovers her purple hair sending shock waves throughout the square, she musters up the courage to stand tall and represent all colours of hair by asking the kings the simple question… Why? A scared but brave blue haired baboon steps up to support her which encourages others to do the same. Eventually the entire population stands up to the smug kings, after setting their own rules they live happily ever after in peace, harmony and new found hope. This is an enchanting and uplifting story of accepting diversity and standing up for what you truly believe in. It touches on the many virtues such as courage, fairness, kindness, respect, and honour. Janet Mary Sinke does a marvelous job in rhyming the story as Craig Pennington brings the characters to life with his superbly humourous illustrations. Priscilla McDoodlenut Doodle McMae Asks, "Why?" This is a heartwarming story of a little boy who absolutely loves sea turtles and aspires to become a marine biologist and devote his life to protecting the endangered species. His family, teacher, and even complete strangers attempt to discourage him. They say he's not smart enough, it would take a lot of study and too much time, he will disappoint his family or they may not even have the money for him to go to college. He begins to believe he is incapable and starts to lose sight of his dream, until he meets Dr.Tortuga, a marine biologist at the aquarium who explains that those are all just excuses and teaches him how to break free from them. With newly discovered courage and determination his dream becomes a reality proving to the world that by not letting excuses stand in your way you can become anything you want to. Another home run hit by Dr. Wayne W. Dyer and Kristina Tracy. This one not only illuminates the paralyzing effects that excuses have on children, but strongly encourages them to believe in themselves and never let negative opinions of others influence their self-perception. Written by the brilliant Dr. Wayne Dyer and Kristina Tracy and impressively illustrated by Stacy Heller Budnick.